First, let me say I do love pretty things. 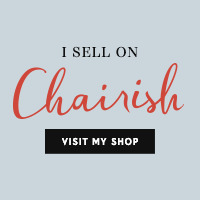 Both my store and home have items of conventional beauty and classic design. But I am also drawn like a moth to a flame to handmade things that are primitive, homely and even weird. They intrigue me. My only criteria, they have to be HONEST. I see a lot of fake primitive things that are churned out in China–the slapped together wood box with faux distressing or the metal signs that have been “aged” with special paint. I am not interested in these. My oldest daughter looked at this when I pulled it out of the bag and shook her head in a “What were you thinking?” manner. But this mid-century fat lava candlestick (handmade in Iceland!) is so deliciously weird with its dark, autumnal, drippy glaze and rough, jagged bumps that I was riveted to it. Here’s my latest bit of pottery weirdness. I have this little vase/cup thingy on my coffee table right now. This handmade primitive wood box was one favorite vacation finds from a few years ago. I had in my store for a while and then took it out because I’m not ready to part with it yet! I bought this rustic handmade willow child’s chair at an estate sale. Loved it, but it was a pain to ship when it sold! (Bought $3, sold for $30.) Oddly, the buyer wanted me to personalize the chair by painting a name on it. I had a heck of a time trying to convince her that I don’t offer that service. Because she was buying it on Etsy I think she made some assumptions. But I have to share that I have had a few duds too. Things that just didn’t capture anyone’s heart. These weird artisan ceramic plates hang around in my store for years and I only sold one to a friend. I finally (and sadly) decided to donate the rest a few months ago. In general though I find that handmade rustic, primitive and weird things sell. Sometimes not quickly, but eventually (95% of the time!) the right person comes along. So I keep them on my radar…always. Oh yes, rustic weird sells well. An aluminum woodpecker that was weather aged sold in a couple of days. I like pretty or well loved, but weird is my favorite. Since I don’t have an Etsy shop yet, I typically keep that stuff, but I’m glad there is a market for it! I have a few weird things, mostly not listed yet. Not sure but I m under the impression that US sellers have some edge on etsy at the moment due to their latest changes, so sales are sluggish on that platform. Hi Gabriella. Yes, isn’t that candleholder fabulous!! I need to dig it out of storage and get it on our mantel. You could be right about the Etsy changes affecting non-US sellers more. My sales have picked up, though not as strong as I’d like. I hope your sales will improve with November approaching and the holiday season kicking in! Some of those pottery pieces were amazing finds! I LOVE the alien vase, and that bird is divine! Thanks so much Karen! I hope you have a great day!